Finally new places are opening in the Bur Dubai side of the city. Recently I was invited for the grand launch of Dugout, a sports bar in Grand Excelsior Hotel in Mankhool, Bur Dubai. Due to a prior commitment, I couldn’t attend the launch and last week I visited them to catch up with a friend over few drinks and some pub grub. 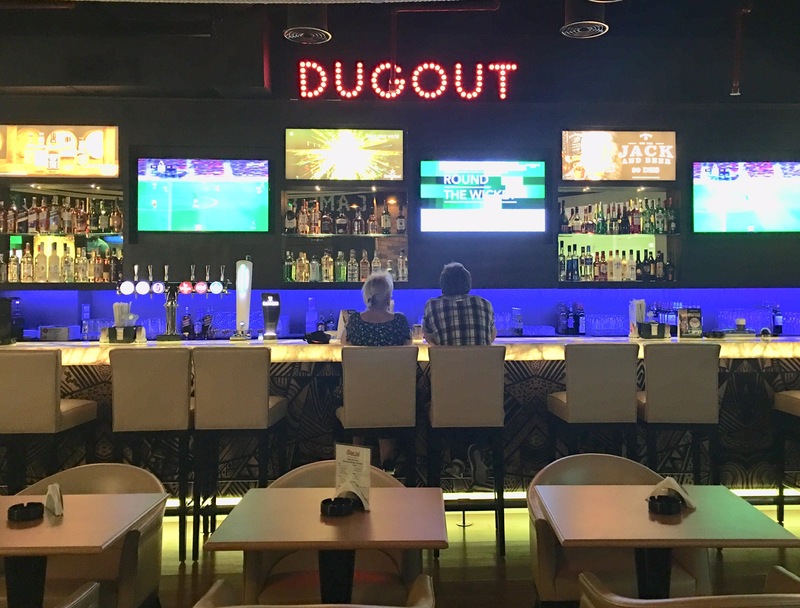 Located in the Ground Level of the hotel, Dugout is a sports bar that screens live sports. They have 7 large LED screens and we enjoyed watching live football on their screen. A great place for all sports aficionados. Dugout has a typical sports bar atmosphere with sports inspired paraphernalia adorning its walls and even their cover of menu is sports inspired. The setup of the place is modern and cosy. They also have a private dining area. It also has a world class pool table for those who enjoy a game of pool. They also have a stage for live music. The night we visited them, a band was auditioning at Dugout and very soon they will be offering live music everyday. They have a long bar area with bar stools. The well stocked bar offers a wide range of drinks. After being seated we immediately ordered our drinks. We started off with Red Wine and Beer. Later we switched over to our favorite cocktail- Long Island Iced Tea. It was mixed perfectly and had an authentic taste of a classic Long Island Iced Tea. Their food menu offers a decent variety of finger foods as well as mains. 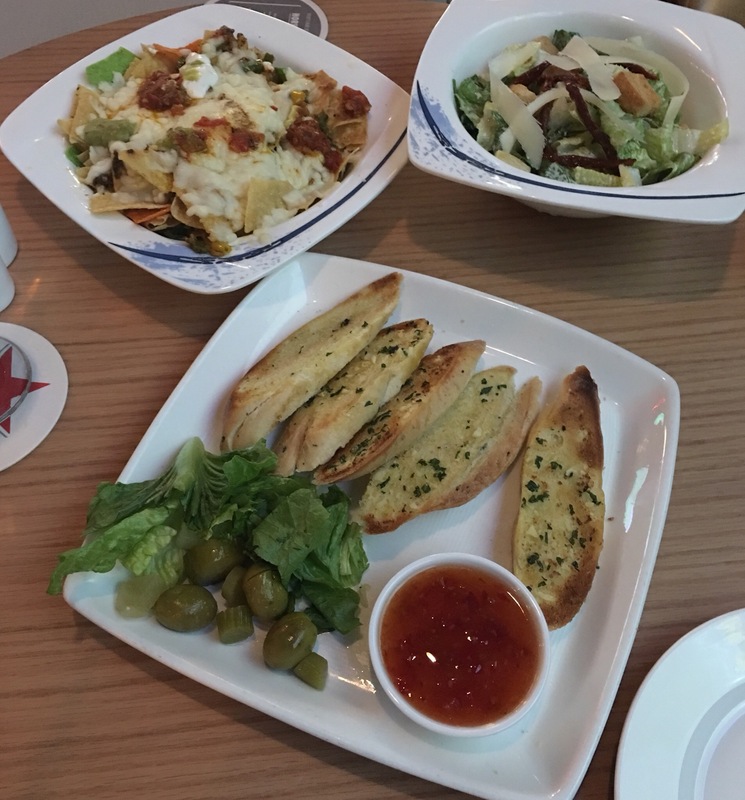 As our starter, we ordered Caesar Salad, Vegetable Nachos and Garlic Bread. All the starters were good and went well with our drinks. For our main course, we ordered King Mushroom in Garlic Sauce which was rather bland and flavorless. 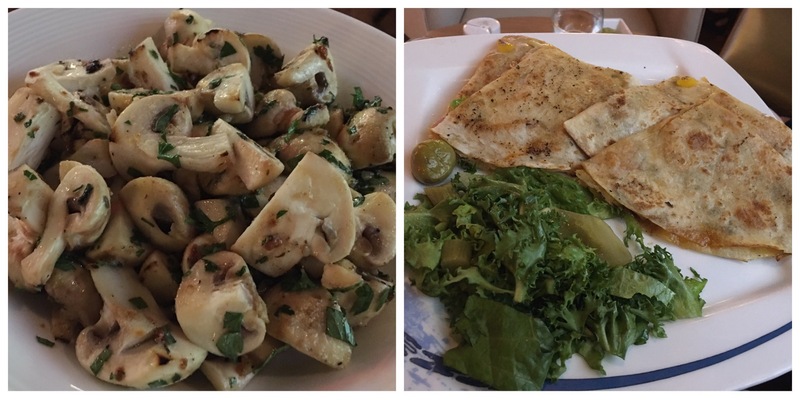 The Vegetable Fajitas was the other main course dish that we ordered, it was ok but not extraordinary. As we felt like treating ourselves to a dessert, we ordered ice cream. They don’t have desserts in their menu, but you can order from their room service or coffee shop menu which is amazing. The ice cream which we ordered had 3 flavors and it was topped with chocolate sauce and garnished with berries. A perfect end to our wonderful time at Dugout. Dugout Sports Bar looks like a promising new bar. The drinks were good, the food requires a bit of an improvement, the service was great, the music was fab and the prices are reasonable. 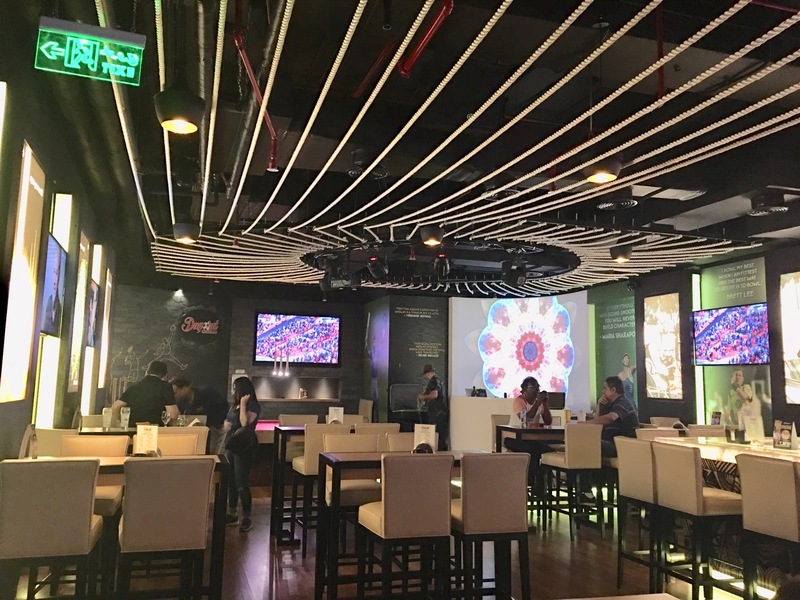 If you are planning to visit a sports bar in this part of Dubai, then look no further than Dugout.